Biography: Born in Huaraz in 1984. 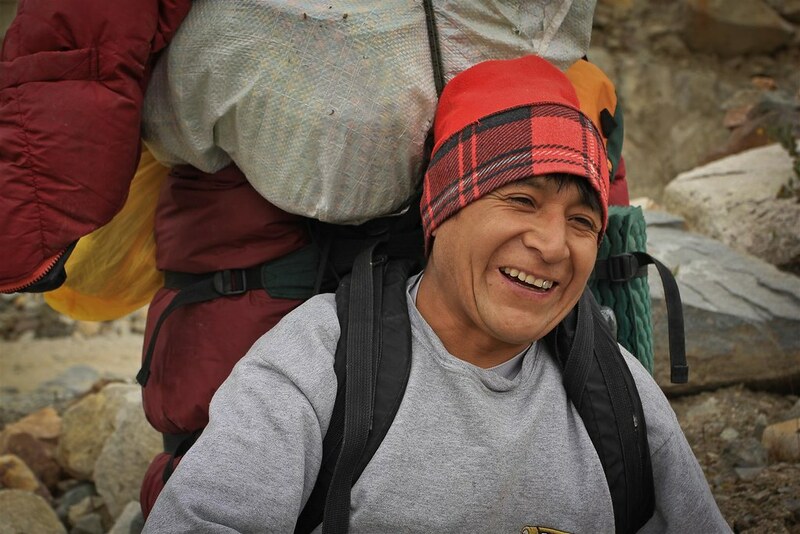 Since he was a child he loved adventure sports and after climbing freely mountains during his youth, he decided to study in the casa de guias – Huaraz, to become a fully certified mountain guide. He graduated in 2010 as the best overall guide out of a group of 80 aspirant mountain guides. Roger is in constant training since he has obtained his degree. As an international guide he participates regarly in rescue operations in the “Cordillera Blanca”. Biography: Born and raised in the foothills of the Andes, spending summers hiking and scaling the valley and peaks near Huaraz – Ancash. Marco’s dream has always been to become an international certified ( UIAGM) moutain guide so he could introduce people from all over the world to the beauty and magnificence of the Andes. Now he is living his dream. He´s graduated of “Centro De Estudios de Alta Montaña” (CEAM), and became a fully certified mountain guide by the “Asociacion De Guias de Montaña del Peru” ( AGMP) and by the Union International des Associations de Guides de Montagnes (UIAGM). Marco now spends the alpine climbing and trekking season in Huaraz and the rest of the year in Cusco (Urubamba). In the off season, Marco works with Nature Vive!. There he works as an adventure guide and helps running the popular Via Ferrata and SKY Lodge in the Sacred Valley, near Cusco. Marco has made over 100 ascents in the Cordillera Blanca, Huayhuash, Cusco and Bolivian Andes. Biography: born in Huaraz in 1983, he is another of our experienced UIAGM guides. From a young age Arnold has been working as a guide with trekking and climbing groups. Then he went on to study to become a mountain guide at the Peruvian Mountain Guide School, and later passed the difficult 45 day assessment to become UIAGM international mountain guide. Arnold enjoys working with groups both trekking and climbing and knows very well all the trekking and climbing routes in the Cordillera Blanca and Cordillera Huayhuash. In his free time he enjoys rock climbing. Most probably when you visit the Casa de Guias in Huaraz, he will be the one informing independant trekkers and climbers about the current conditions in the range. Biography: Born in Huaraz, he is another young and energetic competent UIAGM mountain guide. He speaks good English and in the 2013 season he guided several climbing trips for us and ran climbing instruction courses on Vallunaraju. Biography: Born in Huaraz in 1985, he has been interested in the adventures sports since he was a child. Now at his 29 years old he has succesfuly summited many peaks leading international climbers. .
JAIME LLIUYA REYES High-altitude porter and cook. Biography: Born in Huaraz in 1973. Has been climbing as high altitude porter since the early 90’s and fixed ropes on all major peaks in the range for different international expeditions. Works mainly as porter and is an excellent basecamp cook nowadays. He owns a shoe repair shop in central Huaraz. High altitude porter & trainee Cook. Biography: Bernardo is one of our most experienced climbing porters, having climbed Huascaran, Chopicalqui, Tocllaraju and Pisco huandoy several times. He also has a passion for cooking and has often worked with our groups as an assistant cook. Biography: From Huaraz , brother from Roger, Marco and Jaime. He has a lot experience in cooking national and international (mountain) food. Biography: Jesus is a recognized donkey driver in the Cordillera Blanca range. He lives in Colcabamba (Conchucos Valley). In the off season, he is a farmer. Biography: Born in Yungay, but moved to Huaraz for studying foreign language at “Santiago Antúnez de Mayolo National University”. Currently finishing accounting and company management at the university. In the meanwhile she works as an English teacher. She loves adventure sports, especially trekking. Biography: Belgian traveler, explorerer with a fetish for Patagonia and the Central Andes. I met Roger in 2008 while he still was an aspirant mountain guide. We climbed moutains together and now I help him promoting his independant business. You can contact me for more info on what Roger can mean to your next expedition in the Peruvian Andes. Visit my own website “Patagonian Dreams” here.